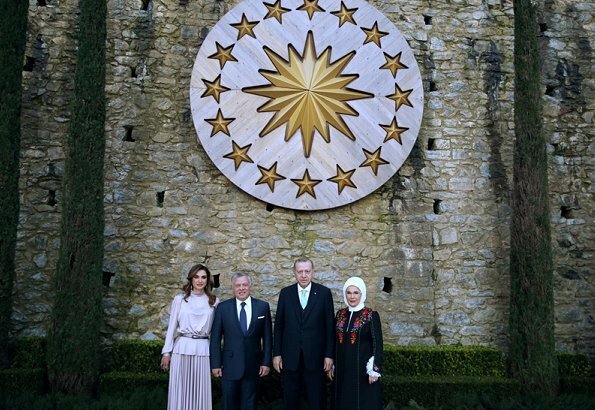 King Abdullah II of Jordan and Queen Rania of Jordan are making a two day official visit to Turkey as the guests of Turkish President Recep Tayyip Erdogan. 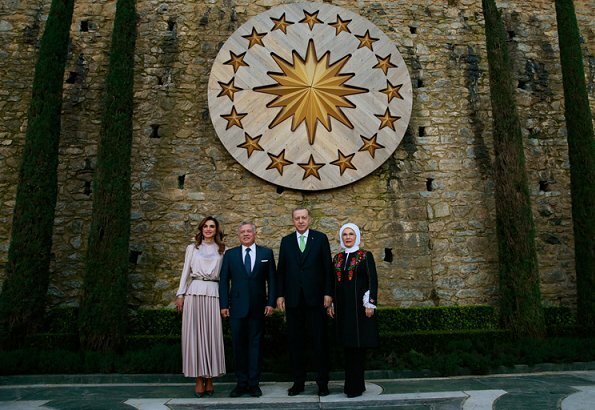 On February 2, 2019, King Abdullah and Queen Rania met with President Recep Tayyip Erdogan and his wife Emine Erdogan at Tarabya Presidential Residence. 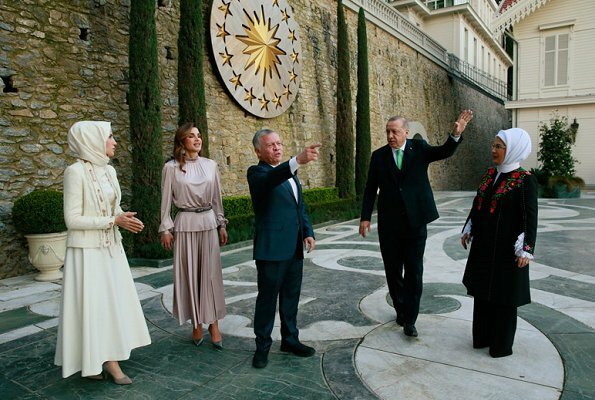 On the same day, Jordan's King and Queen attended a dinner held at Huber Palace in Istanbul, hosted by President Recep Tayyip Erdogan and First Lady Emine Erdogan. I appreciate the retro vibe, but I truly dislike the fabric of this outfit, a NO for me. I admire that she holds to her own beliefs - no head covering for example. The top is boxy,shapeless, and the sleeves are terrible. Also the waist detail and the belt sitting below it are a disaster. I think it's ok. I quite like the colour. 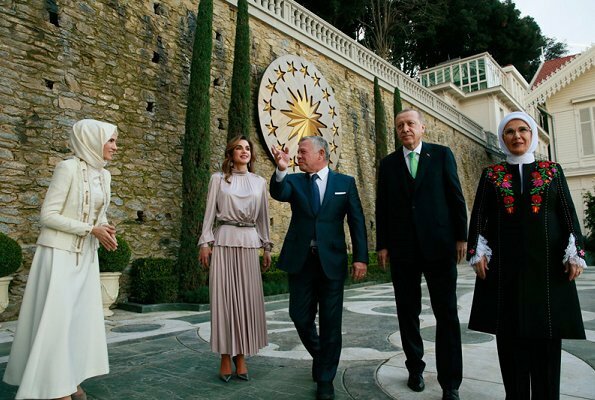 It's modest in deference to her hosts but still her style. As usual, I dot like it. 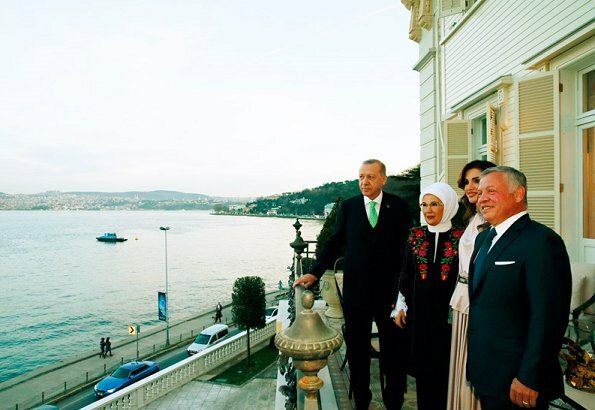 I somehow do not understand her clothes, it may be a cultural thing.